Andrea has been creating beautiful spaces as an Interior Designer for 16 years. Her education and training began at Cazenovia College in New York and brought her to Minnesota State University, Mankato. With additional training in flooring, cabinetry, and window treatments, there is not project that Andrea is not willing to tackle. Interior Design appeals to Andrea because of her passion of working with different colors, textures, and textiles. Each project is new and different and presents many design opportunities. When asked her main objective though, she will tell you it is to create a functional and relaxing atmosphere that people can relax and enjoy. Andrea’s favorite style is transitional, neutral, and inviting. As a busy mother of young boys, she knows firsthand that a space cannot just be beautiful, it must also be livable and comfortable. Her favorite design tip? 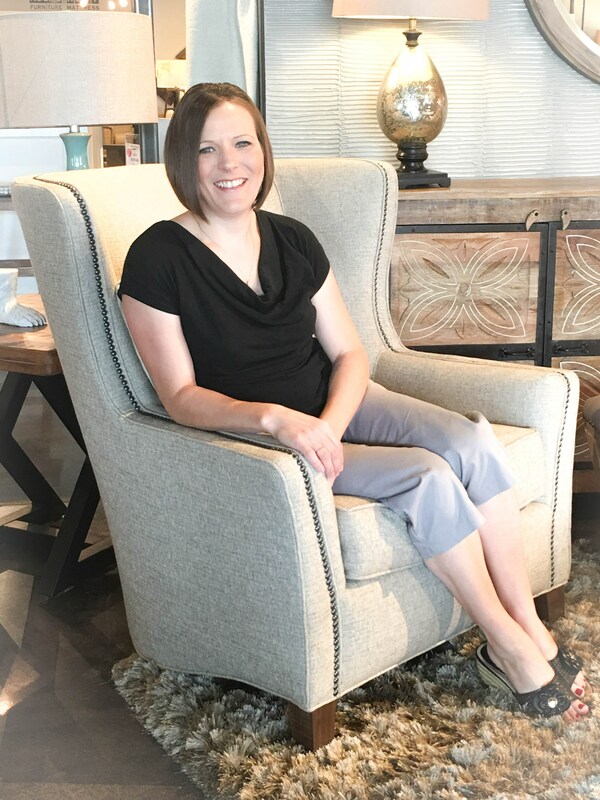 “Simply changing the angles of a few larger pieces can add softness and interest to an otherwise stiff room.” Andrea also encourages her clients and customers to not be restricted by the thought of everything matching. It can be much better to find unique pieces that fit your personality and style. Andrea is available to assist you with your Interior Design challenge, big or small! Visit with her today at Interiors and Rooms and Rest, or set up your free in-home consultation today!